Edward Thomas Young Wilson McDonald was born in Sydney in 1810. He married Agnes Sarah (b. Sydney 1812, d.1852), daughter of Richard Leyne and his wife Mary Anne, née Ikin, at Scots Church Sydney in March 1834 and had two sons and two daughters. He died on 12 January 1866, aged 56, and was buried as a Presbyterian at the Sandhills Cemetery. On 7 July 1830, Edward Thomas McDonald acquired the licence for the Coach and Horses, on the corner of Cumberland and Essex Streets. From 1837 to 1842, he had the Rainbow Inn on the corner of Millers Road and Clyde Street. In May 1843, he was granted the licence for the Hunter River Inn in Sussex Street, and from 1845 to 1851, he was the publican of the Forth and Clyde on the corner of Cumberland Street and Essex Lane. McDonald also invested in property, purchasing land on the corner of Darling and Little Nicholson Street in East Balmain in December 1841. 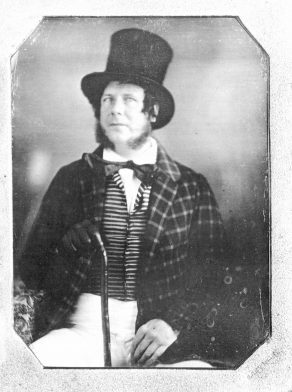 Edward McDonald was Councillor for Gipps Ward, 1 November 1848 to 23 December 1851.